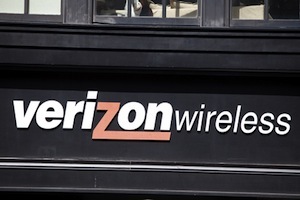 A new lawsuit has been filed against Verizon Wireless, accusing the firm of interfering with the business affairs of its biggest store operator in New York in order to inflate the number of pre-paid phone activations artificially. The cell phone giant allegedly pulled off the scam by working with the retailer’s sub-agents to activate cheap pre-paid phones for a period of six months. The lawsuit alleges that the phones, which on occasion would not even end up being given to customers, were activated for the purpose of increasing activation numbers. Higher activation numbers would result in a boost to profits and make the parent company of the cell phone provider, Verizon Communications, seem as though it was more profitable than was actually the case. Zcom, which runs around 120 area stores in New York, 90 of which are subleased, are the ones who have filed the lawsuit and are seeking to recover more than $1 billion in damages. Zcom’s co-counsel, State Senate Minority Leader John Sampson says that the company was trying to achieve “steroid enhancing” results. Zcom does not appear to be squeaky clean itself however, facing its own lawsuit from one of its own sub-lessors, Shelly Bumitra, who claims that the company, working with an executive from Verizon Wireless, attempted to pressure him into fraudulently activating pre-paid phones. Bumitra’s lawyer, David Paris, claims that Zcom’s own suit against Verizon Wireless is a “kitchen-sink kind of pleading”.